Naomi Shihab Nye, describes herself as a “wandering poet.” Nye was born to a Palestinian father and grew up in St. Louis, Jerusalem, and San Antonio. Drawing on her Palestinian-­‐American heritage, the cultural diversities of her varied homes, and her travels around the globe, Nye confirms the collective nature of the human condition in her writing. Naomi Shihab Nye is the author and editor of more than 30 volumes. Her books of poetry include 19 Varieties of Gazelle: Poems of the Middle East, A Maze Me: Poems for Girls, Fuel, and her best-­‐ selling poetry book You & Yours. 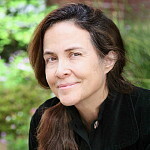 Naomi Shihab Nye’s other works include eight prize-­‐winning poetry anthologies for young adults. Her collection of poems Honeybee: Poems and Short Prose won the 2008 Arab American Book Award for Children/Young Adult Books. In the fall of 2011, Ms. Nye published two new books, There Is No Long Distance, a collection of very short stories, and Transfer, a book of poems. The annual Poet In Residence is proudly sponsored by WWBA. Each year the program features revered and distinguished contemporary poets who continue to embody Walt Whitman’s spirit of democracy, diversity and creativity.